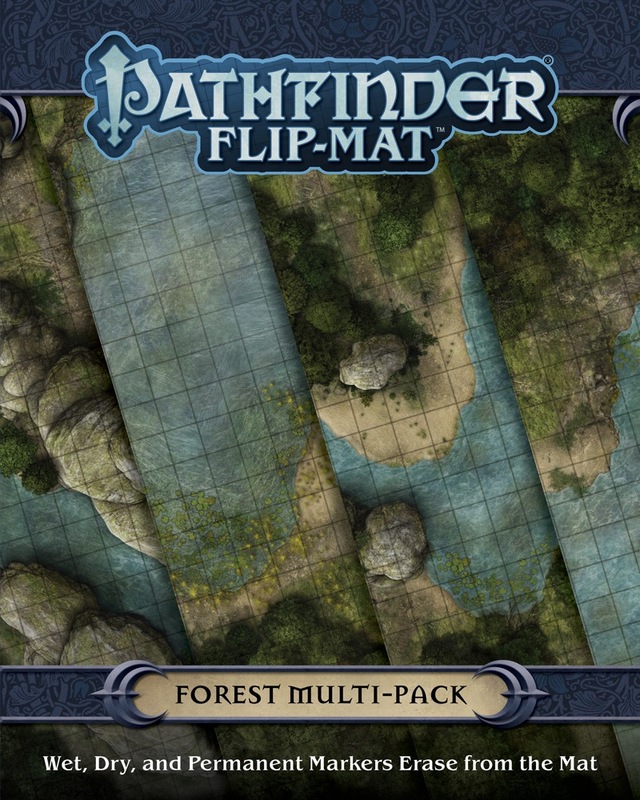 When the heroes decide to explore the vast stretches of the wild, Pathfinder Flip-Mat: Forest Multi-Pack has you covered. 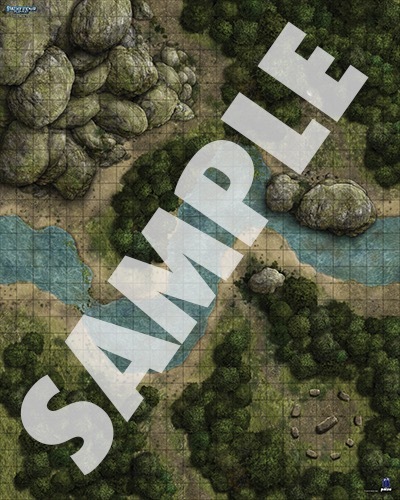 The four sides of this Flip-Mat Multi-Pack present meandering brooks, winding trails, groves, grottoes, fords, bridges, rocky highlands, and other forest locations perfect for exploration and ambushes. 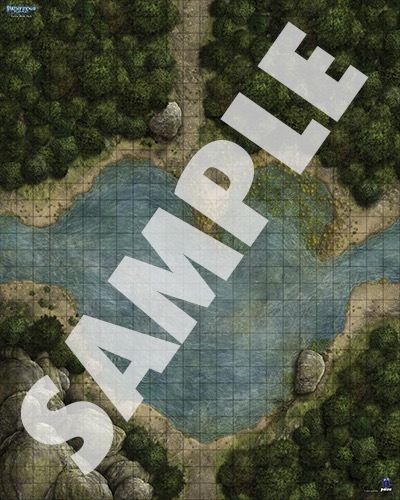 Each side connects to the other parts of the wilderness in some way, allowing you to present a nearly endless forest for your players to explore! This set includes two flip mats, each measuring 24" × 30" unfolded, and 8" × 10" folded. 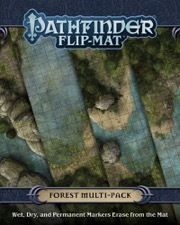 Usable by experienced GMs and novices alike, Pathfinder Flip-Mat: Forest Multi-Pack fits perfectly into any Game Master's arsenal! Are any of these from older flipmats? 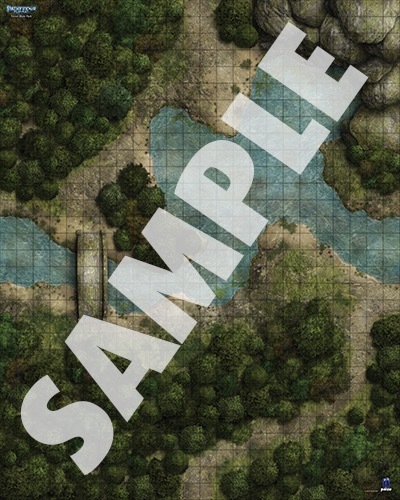 Or is it four new forest-y maps? If they are all new, will they "fit" with any of the older ones or is this kind of standalone? (There have been a few different "styles" of forest over the years - I'm trying to decide if I should get two of these). I would also love to know if any of these are reprinted - I have almost all of the existing ones, but I'm desperate for more! These will have to be all new to connect. 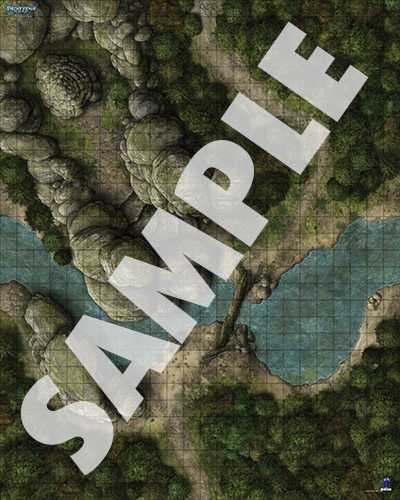 It's 4 all-new maps that can interlock in various ways to make a variety of larger map schemes, similar to Flip-Mat Multi-Pack: Dungeons. Nice price! Assume it's a typo? The price has been corrected. Thanks! Wish these were about to come out. Just getting ready to start the Ironfang Invasion! Oh Well better late then never. Still look forward to getting these! I have an idea for a new multi-pack! City streets! Shows a city street with the front of some of the business's along the street on each map, they can connect with the street on each side of the map. Good for a running street battle along more then one street, tailing someone, etc; Not sure if workable or not? "Forest Streams" would be a more appropriate name for this set. LONG have we needed a true forest map, perhaps pure forest on one side, and forest with a handful of small sites hidden within the trees, but, once again, it is not to be. Every time you post something you literally complain about things that Paizo makes that you claim they don't make. Although I like it I was expecting at least one side without water... :-( Too much water from my point of view. FYI, it's listed as "Forests" at the top of the page, but the product image says it's "Forest", singular. Less forest and more river/ lake IMHO. Though I would like a map of a river through a forest I don't need 4. Forest river, hilly forest, forest clearing and forest paths would have been a much better combination.